Followed by a post-screening discussion with Former U.S. Diplomats John Schlosser, Amb. Leslie Basset (ret.) and Amb. Reno Harnish III (ret.). 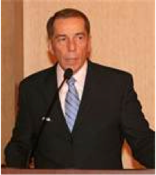 John Schlosser is the President of SDWAC and a Senior Advisor of Albright Stonebridge Group. Prior to joining the firm, John was Director of the Office of Regional Affairs in the State Department’s Bureau of South and Central Asian Affairs. Prior to that assignment, Mr. Schlosser was founding Director of the Department’s Office of Export Control Cooperation and Sanctions. Previously he served as Deputy Political Counselor and chief of the Political-Military and External Affairs units at the U.S. Embassy in Warsaw, Poland and as Senior Political Officer in the State Department’s Office of Cuban Affairs. Leslie Bassett had completed 35 years as a U.S. Foreign Service Officer when she retired to Imperial Beach, CA, in 2017. 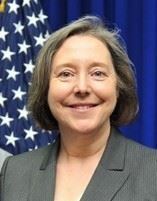 She served as second in command/acting ambassador in Botswana, Mexico, the Philippines and Korea before being named as U.S. Ambassador to Paraguay in 2014. Her commitment to strong leadership was recognized by the Department of State when she was twice asked to address the Global Chiefs of Mission Conference on integrity and mentoring. Ambassador Reno L. Harnish III founded the Center for Environment and National Security at the Scripps Institution of Oceanography. Prior to this, he spent 33 years in the Foreign Service, including positions as the U.S. Ambassador in Azerbaijan, the Chief of Mission in Kosovo and the Deputy Chief of Mission in Egypt. He was heavily engaged in conflict resolution, democratization and energy issues. He received the Presidential Meritorious Service Award twice and the Department of State Distinguished Service Award among other decorations.